NEVER BEEN WORN, NEW with tags and still in gown bag! Proof of purchase available. 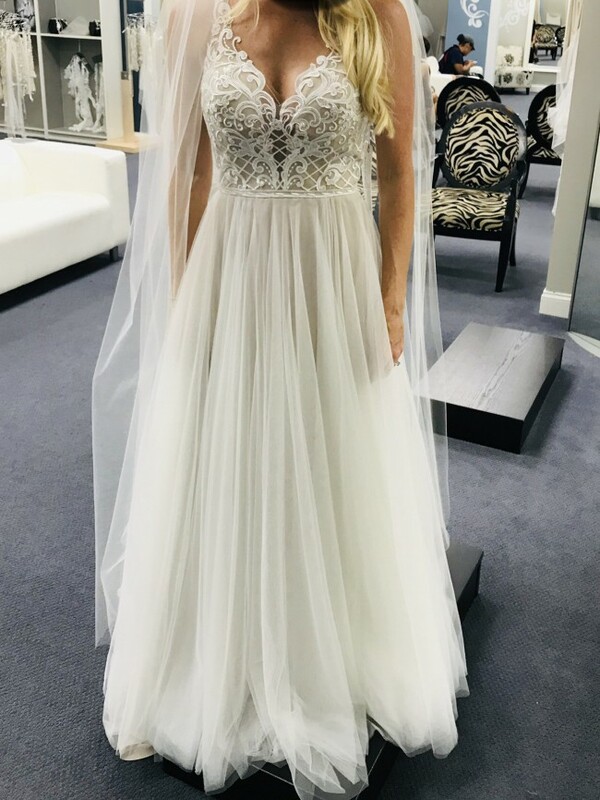 This WTOO 11110 Huxley A-line wedding gown features a lace bodice over a tulle skirt, with illusion straps framing the V-neckline and the buttoned sheer back. The fully gathered skirt finishes in a court train.